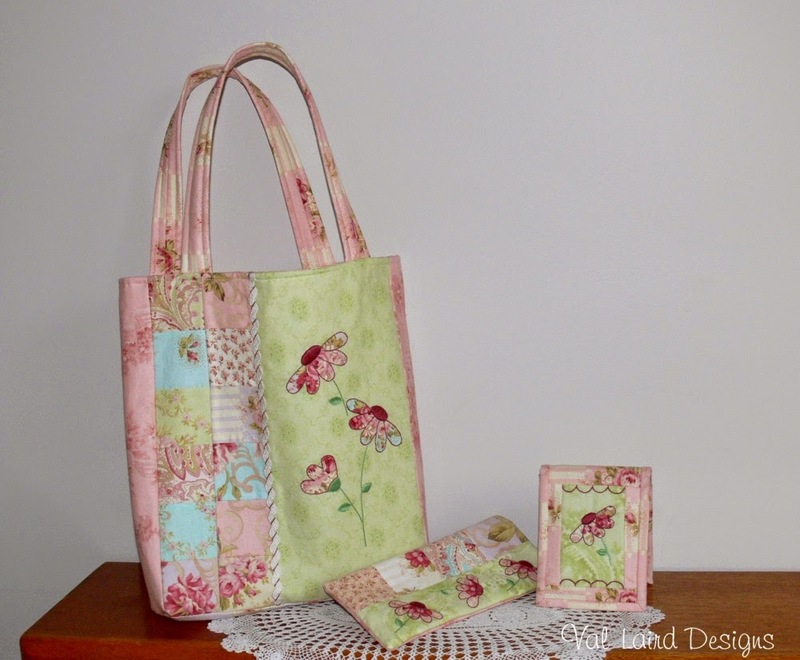 Val Laird Designs - Journey of a Stitcher: Unique! 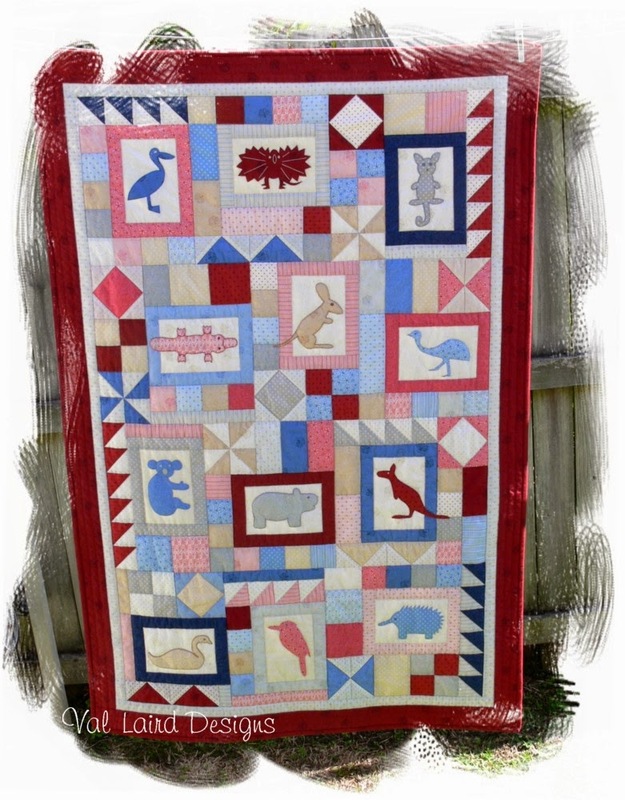 Australia is home to some unique, fascinating animals, and when I was asked to design a cot quilt using Helen Stubbing's new fabric range, Basically Hugs, my first thought was to showcase the fabric around appliques of some of our amazing fauna. 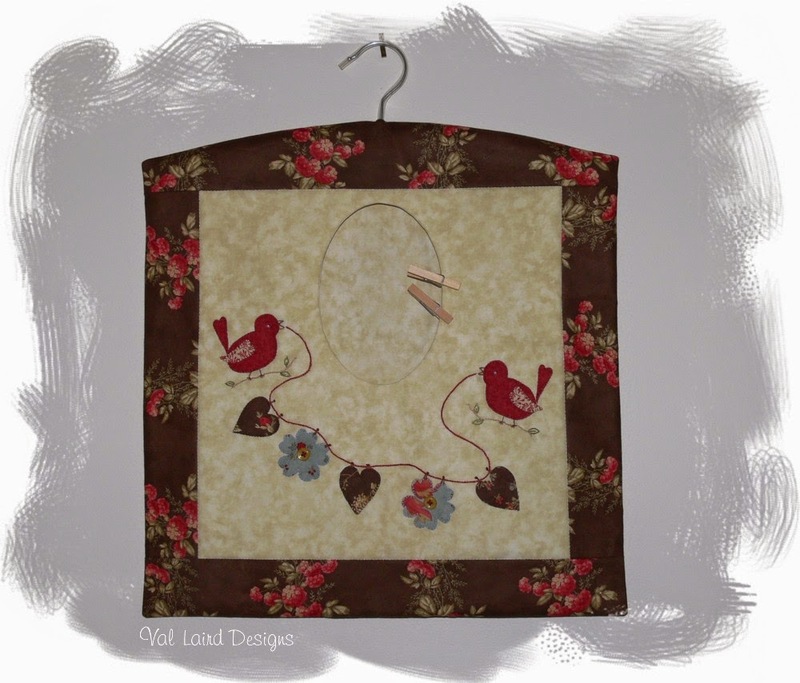 I love the cute naivety of these appliques. And no, I didn't design them! I commissioned my 11 year old grandson to draw them for me. He is a budding artist and I think he did brilliantly with these animals. It was such fun collaborating - grandma and grandson! Here's the finished quilt which is called Huggles. Our family have always called hugs and cuddles "Huggles", so I couldn't go past that name with a fabric range called "Basically Hugs", could I! Grandson and the rest of his family have been here for the weekend and we've been doing some more collaborating. I think we make a good team! I'm getting excited about the overseas trip my husband and I are having in just three weeks. Hubby is presenting a paper at a conference in Yokohama, Japan, and that city just happens to be where our daughter and her family live!!! Bring on the fun! I've been ticking off the jobs that have to be done before then, and now have only the binding to finish on one commission. I'm trying not to start anything new! So instead of rummaging around in my stash, I worked on preparing some of my recent patterns to put in my shop. I'll have the next block in the free "Shining like the Dawn" next week. See you then. 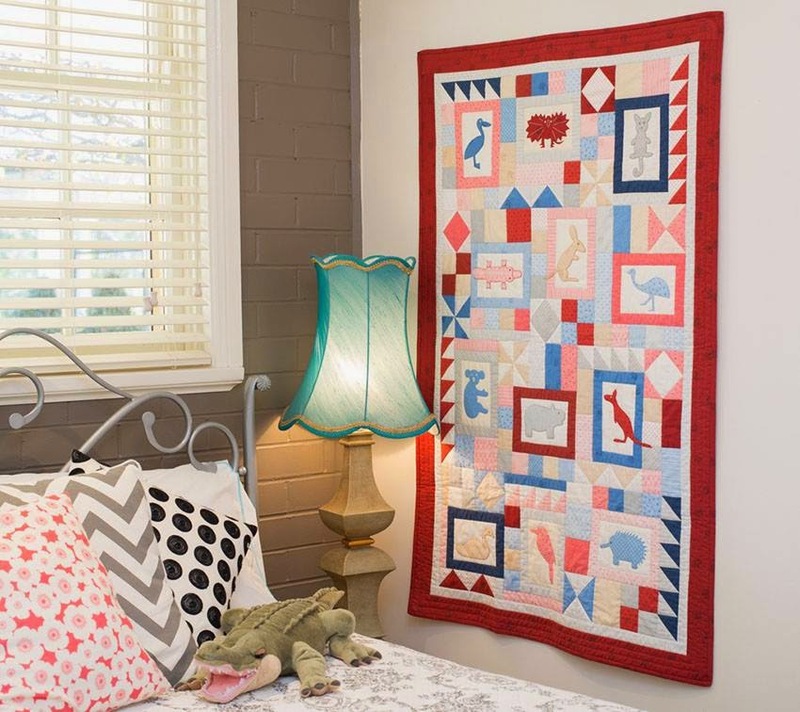 Your new quilt looks wonderful...& perfect in a childs room. What a fabulous quilt. How great to have your grandson draw the animals for you, Val. Great team work there. Sounds like you're in for a fun time. Safe travels. This quilt is so wonderful. Great motifs. And all other things you made are wonderful too. que de magnifiques créations, j'ai craqué pour l’ensemble aux marguerites !!! je vous envoie très vite les photos du cottage qui est presque terminé. Como sempre você usa esas mãos de fada para alegrar os nossos olhos nos finais de semana. Tudo muito lindo! Feliz domingo e uma ótima semana! 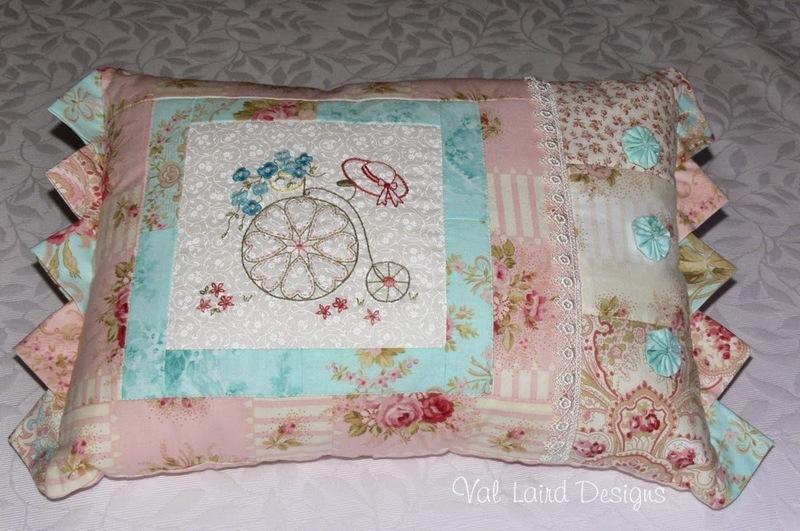 Val, that quilt is so adorable! It's made even better by the fact that you collaborated with your grandson. He must be over the moon at having the designs published in a magazine! I especially like that last one pictured. The quilt is a real treasure.